Silk Road, located on the 2nd floor within the Amara Hotel, Tanjong Pagar, has been one of my favourite Chinese restaurants for over 2 years. They specialise in cuisine from Sichuan, Shaanxi, Beijing and Liaoning. Their menu is incredibly vast, and I must admit that I was almost never disappointed by anything I picked from it. 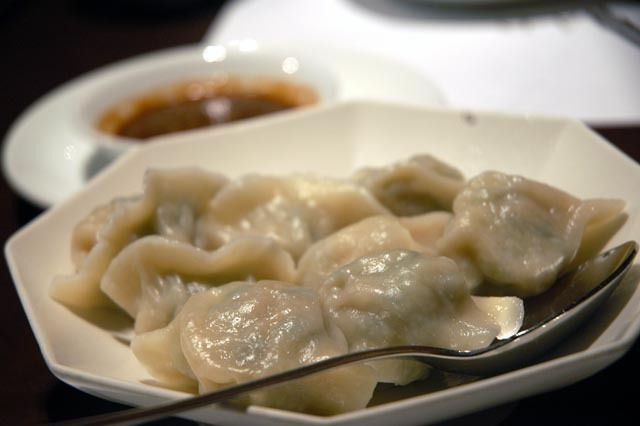 Their cooking is consistently of very high standards, especially their dumplings and noodles. I love the open kitchen concept, which adds a twist of action to a comfortable, softly lit and spacious environment. Service needs a bit of work to match the food, but considering the fairly reasonable prices it's something that most would be prepared to accept. A snack is regularly served as you sit at the table. It is either steamed peanuts with tofu or this pickled vegetable. I love the steamed peanuts, while I find this pickle slightly salty. My all time favourite, and one dish I must order every single time I visit this restaurant is the shaved noodles. They are served both dry or in soup with beef or seafood. I recommend the dry shaved noodles with beef ($6). 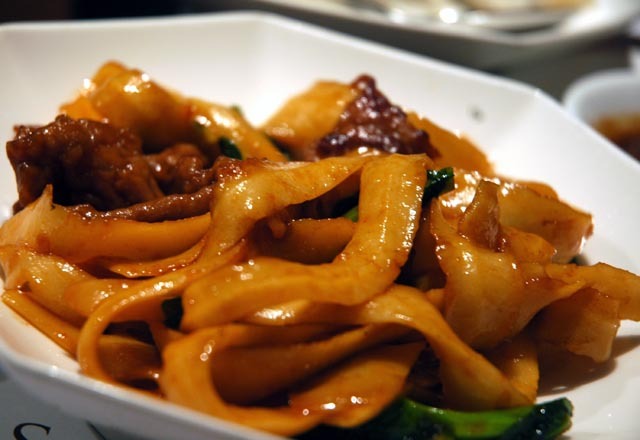 These noodles, as the name suggests, are shaved directly from the dough and they have an irregular, rough texture. The Shenyang combination dumplings ($8) are filled with vegetables, pork and prawns and they are very juicy and tasty even without the sauce provided, which is quite strong in garlic. 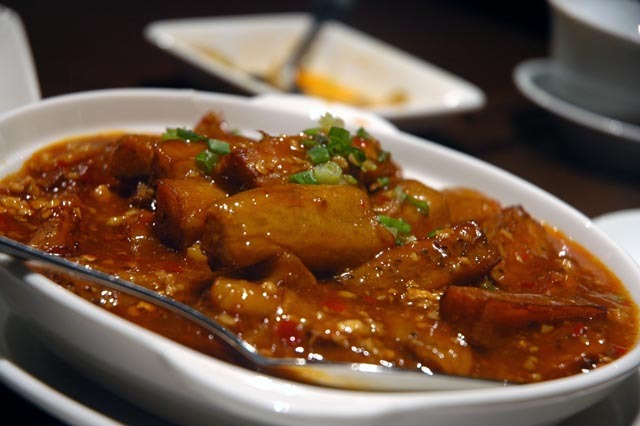 The Fried french beans with pork ($13) is one of my favourite Chinese vegetable dishes, and Silk Road serves a very authentic version of the dish as opposed to the sweeter version that is more commonly served in Singapore. 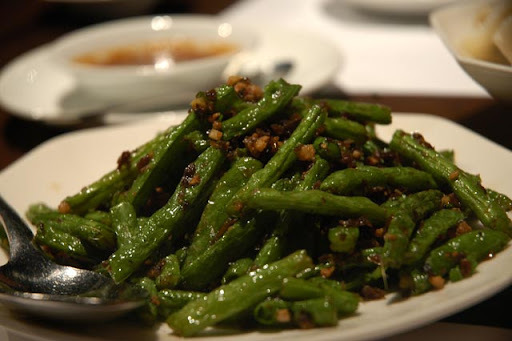 The savoury and crispy pork accompanies well fried and textured green beans. 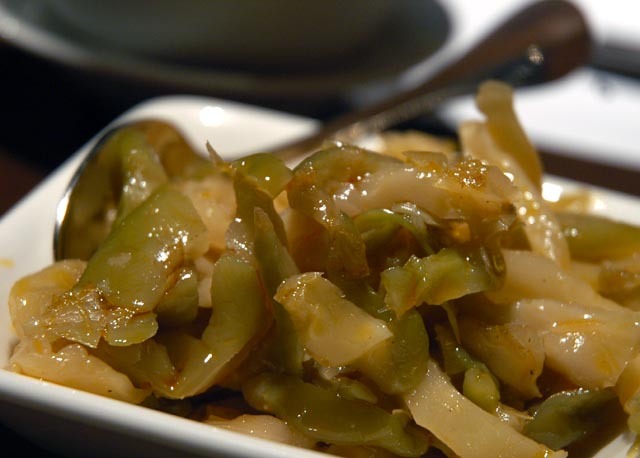 Out of all, the Sichuan eggplant with bean sauce ($13) is the one I enjoy the least. I find that the flavours are too overwhelming and they cover up the delicate aroma of eggplant. Although the dish might be authentically done, it wouldn't be my first choice. I ended the meal with 2 Chinese desserts. 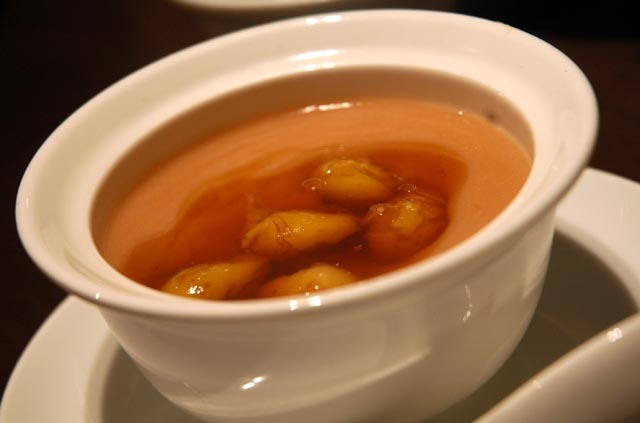 The Yam paste with Gingko nuts ($5) was very smooth and delicate, served warm and well balanced in sweetness. 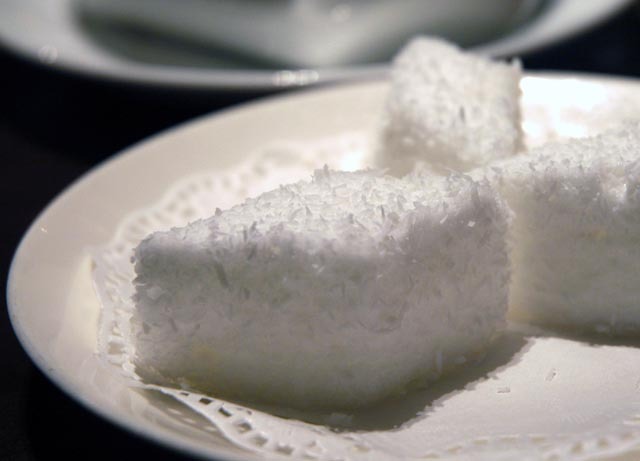 I love the cotton cake with coconut ($6), consisting in extremely soft and fluffy textured squares of steamed egg white lightly sweetened and dusted in dry coconut flakes. This dessert is recommended if you are feeling full after the meal and you need to end it with something sweet. It is so light that you won't feel aggravated by it! The total bill was $102, including an Eight Treasure tea ($3) and 2 soft drinks. There is very little to argue about this restaurant. Their food is consistently top notch, offering a variety of regional dishes that are not commonly served in Singapore, the ambience is pleasant and quiet and it's reasonably priced.